July 9, 2016: The Nigeria Physiotherapy Network join colleagues from around the world in congratulating Professor Francis Adelaja Fatoye on his recent promotion as Professor of Health Economics and Outcomes Research by the Manchester Metropolitan University (Manchester Met), United Kingdom. Professor Fatoye has again made history by becoming the first Nigerian trained physiotherapist in a University in the United Kingdom, and one of the only two blacks academic at Manchester Met to be so elevated. This is by no means a cheap achievement. Professor Fatoye is a BSc (Hons) Physiotherapy graduate of Nigeria's premier University, the University of Ibadan (1991). Upon graduation from the University of Ibadan, Professor Fatoye in 1991-1992 did the 1-year required National Youth Service Scheme of the Nigerian Government where he served in Yola. Professor Fatoye was appointment as Physiotherapist in the most prestigious and sort-after Medical Center in Nigeria, the State House Clinic (SHC), Abuja, Nigeria. While working at the SHC, Professor Fatoye obtained a Master of Business Administration (MBA) from Ondo State (now, Adekunle Ajasin) University, Nigeria. Professor Fatoye rose through the ranks at the SHC to become a Senior Physiotherapist. His aptitude and passion for academia compelled him leave Nigeria to seek further studies in the United Kingdom first at the University of Nottingham where he earned a Master’s degree in Sports Medicine; and later at the Queen Margaret University, Edinburgh where he earned a PhD in Musculoskeletal PT. He also obtained a Master’s degree in Health Economics and Health Policy from the University of Birmingham, United Kingdom. Professor Fatoye began his academic career at Manchester Met in 2006 as Senior Lecturer and was to Reader (Associate Professor) in Physiotherapy in the Faculty of Health, Psychology and Social Care at Manchester Met. Since joining Manchester Met, Professor Fatoye has in the last 10 years shown various exemplary visionary leadership and administrative qualities which makes him valuable to his University. He has served on various Committees and Working Groups with varying responsibilities. He was appointment Program Director, MSc Professional Practice Development in 2010. As Program Director, he accepted the challenge to resuscitate a dwindling program. Professor Fatoye’s visionary leadership repositioned the MSc Professional Practice Development for success to increase student recruitment, retention and completion rates. Professor Fatoye has mentored a number of academic colleagues. He has successfully supervised 11 PhD students to completion and examined several doctoral students. His research studies include Neuro-musculoskeletal Disorders, Quality of Life, Rheumatology, Paediatrics, Health Economic Evaluations, and Health Services and Outcomes Research. His research studies have been funded by the Economic and Social Research Council; Innovate UK; and multinational Pharmaceutical Company. 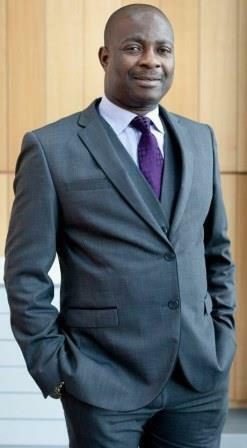 To date, Professor Fatoye has attracted over £1,000,000 in research income. His research findings have been published in peer-reviewed high-ranking international journals, and presented at both national and international conferences. He is a member of the Advisory Panel for the National Institute for Health Research (NIHR), UK. Professor Fatoye is also a grant reviewer for many funding bodies nationally and internationally such as NIHR, UK; Arthritis UK; Health and Care Research Wales, UK; Research Foundation Flanders (Vlaanderen - FWO), Odysseus Programme, Belgium. Professor Fatoye is Associate Editor for the BMC Musculoskeletal Disorders and member of the Editorial Board for the Journal of Physical and Occupational Therapy in Pediatrics. He is a reviewer of manuscripts for more than 25 academic professional journals. Professor Fatoye serves as a member of many International Scientific Committees and Advisory Panels such as the International Health Economics Association (iHEA), and the International Society for Pharmacoeconomics and Outcomes Research (ISPOR). Professor Fatoye is happily married to Clara and they are blessed with a son, Precious and a daughter, Divine.